Idaho super tansy flower essential oil from the USA. Also known as Mugwort and Golden Buttons. 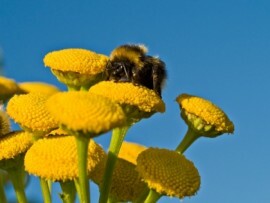 Species: Tanacetum vulgare L., Family: Asteraceae (Compositae). Articles: Health Benefits of Tansy Essential Oil, Health Benefits of Tansy Essential Oil, ...Treat Herpes.., Tansy is a Natural Anti-Viral Herpes Treatment.